The Midwest Big Ten Series will have three different races coming up this weekend in Illinois. While the Super Late Models are off until the Thursday, July 9 event at Macon Speedway, the Pro Late Models have events on Friday and Saturday. The Street Stocks are scheduled for a Sunday event. The Midwest Big Ten Series Pro Late Models have run two events so far this season, with Springfield, IL driver Guy Taylor winning at Macon and New Berlin, IL competitor Nick Bauman taking the Lincoln, IL trophy. Only two points separate the two at the top of the standings, while Myles Moos is just two more back in third. 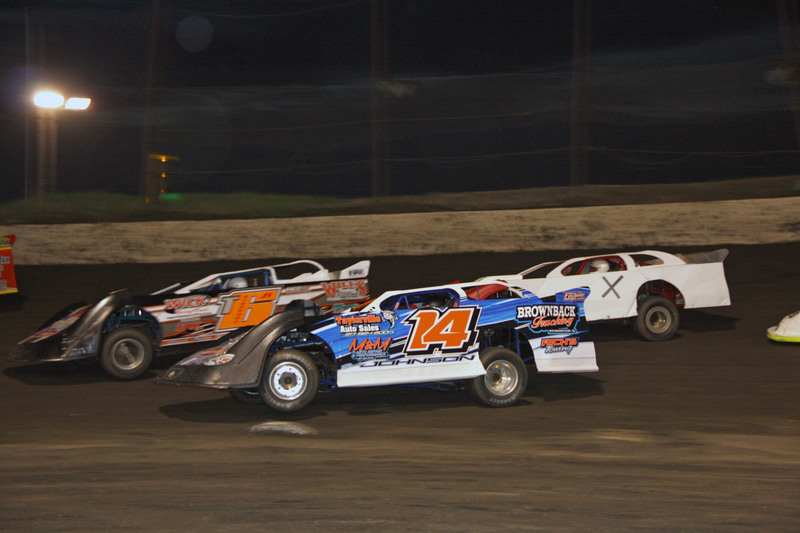 This weekend’s Big Ten Pro Late Model doubleheader will have action at Jacksonville Speedway on Friday night, June 26 and Macon Speedway on Saturday, June 27. The Midwest Big Ten Series Street Stock tour makes a trip to Lincoln Speedway this coming Sunday, June 28. So far this season, four completed events have take place with Decatur, IL driver Terry Reed leading the standings. Reed has two runner-up finishes to bolster his standing. Macon, IL’s Greg Osman is eight points back, while Kyle Waters is third. For detailed info on this weekend’s events at each facility, visit their websites at www.jacksonvillespeedway.com, www.maconracing.com, and www.lincolnspeedwayil.com. Also, don’t forget to like the new Midwest Big Ten Series Facebook page at www.facebook.com/MidwestBigTenSeries.